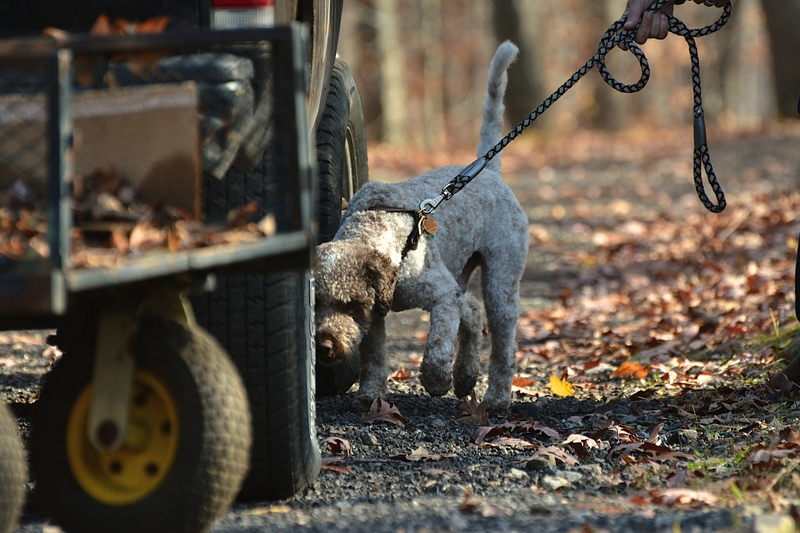 K9 Nose Work is the specific term used to describe the canine scent detection activity. 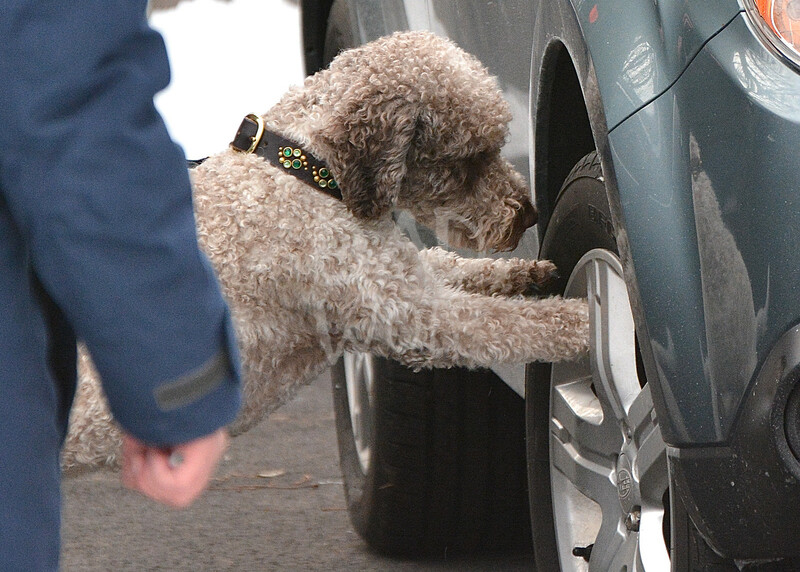 In K9 Nose Work, dogs learn how to search for a specific odor or odors and find the source. Dogs start by searching for their favorite food or toy reward hidden in a variety of environments, increasing the challenges and adding new search skills as the dog progresses. Those looking to keep it fun searching for food or toy can still have fun and progress in the activity, but many people will choose to have their dogs learn to find the target odors used in K9 Nose Work: birch, anise, and clove. Once target odors are introduced to the dog, he will search for the odor only and find its source, then get rewarded by his handler with his favorite food or toy reward. K9 Nose Work is an activity that uses real-world environments and can be done almost anywhere. Every search has the potential to be a dramatically different and highly stimulating experience for both dog & handler, just by changing hide placement, or searching under different weather conditions. By participating in K9 Nose Work with your dog, you're giving him the freedom to express and refine his natural talents, and he's giving you a glimpse into how he "sees" the world. The activity builds a stronger bond between dog & handler as handler learns to observe, understand, and rely upon his dog. The sport of K9 Nose Work provides a venue for dogs & handlers to test their scent detection skills in real-world settings with blind (location unknown to the handler) hides set in timed searches representing each of the four elements of competition: container, interior, exterior, and vehicle. For more information please click on the logos above. Printed with permission from K9 Nose Work.